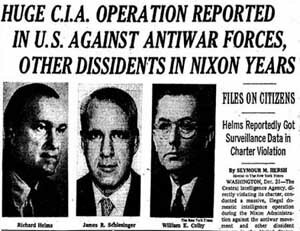 Among the reforms to come out of the Church Committee investigation was the creation of the Foreign Intelligence Surveillance Act (FISA), which for the first time outlined what NSA was and was not permitted to do. The new statute outlawed wholesale, warrantless acquisition of raw telegrams such as had been provided under Shamrock. It also outlawed the arbitrary compilation of watch list containing the names of Americans. Under FISA, a secret federal court was set up, the Foreign Intelligence Surveillance Court. In order for NSA to target an American citizen or a permanent resident alien—a “green card” holder—within the United States, a secret warrant must be obtained from the court. To get the warrant, NSA officials must show that the person they wish to target is either an agent of a foreign power or involved in espionage or terrorism. Contrary to the government’s depiction of its surveillance program as aimed at overseas terrorists, Klein said, much of the data sent through AT&T to the NSA was purely domestic. 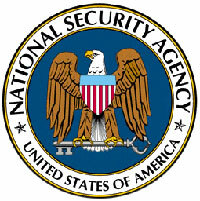 Klein said he believes that the NSA was analyzing the records for usage patterns as well as for content. 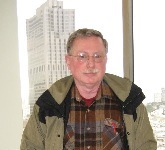 Mark Klein is the man who blew the whistle on NSA’s AT&T dragnet. It’s time instead to get rid of that authority again, like we did back in the 1970s. Next: Senators Feinstein and Chambliss shuffle their feet about FISA.